You can get an idea what color your aura is with this fun aura colors test. 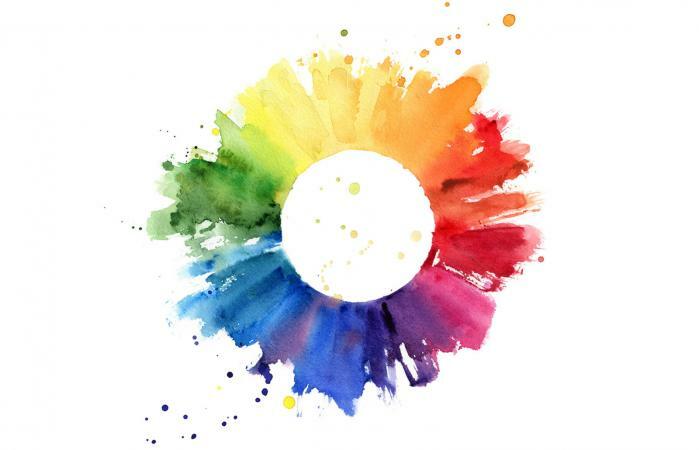 Other ways you can learn the color of your aura is to hire an intuitive or healer who specializes in reading auras, or you can consider what colors you prefer when decorating your home or selecting your clothes. Meanwhile, get started on your aura journey with the test below. An aura, often mistakenly spelled ora, is the energy (electromagnetic) that radiates about the body from the various main chakras that line up from the top of your head to the base of your spine. The aura energy emits around the entire body and has a vibrational quality similar to the energy waves of heat radiating from a metal surface. Some people can see all seven auric bodies and their colors while others may only be able to see one auric body. Auras often appear as outlines of the human body. This is often referred to as the halo effect. Auras can contract or expand depending on the situation a person is experiencing. Depending on the individual's energy, the aura can be a thin outline or very intense and distinguishable. The aura usually has uneven edges and sometimes rays of color (energy) streak out from the body. What color is your aura? You can learn to see your aura the same way you see other people's aura through specific techniques. You can use the peripheral vision technique or taking your eyes out of focus technique to train yourself and see your own aura. Decide which technique works best for you and sit across from a full length mirror. If you don't have a full-length mirror, you can begin by placing your hand against a dark or black background and begin training using this tool. The Aura Color Test: What's Your Aura Look Like? Answer the questions in this widget by deciding which one best describes you. At the end of the test your aura color will be revealed. Taking the test will help you know your aura type. It will answer the question, "What color is my aura?" If you have more than one color in the aura color test, then your aura is a combination of colors. The multi-colored aura is far more common than an aura radiating just one color. You can get a better understanding of your aura by exploring the meaning of each color. Each energy center (chakra) emits a specific color. These are known as the seven auric bodies that can layer auric colors around your body. The aura colors can mingle to ceate a rainbow auric effect or one chakra may be more prominent in your body and serves as a guide for your life purpose. Many people may have the whitish hallo outline to their body, but the aura color can change or be a mix of two or more colors. The aura colors and meanings can help guide you to a deeper understanding of yourself. Another way you can discover your aura is to have someone read it. Human beings are a mix of energies, all radiating at the same time and all producing various auric fields of colors. This means a person's aura colors can change. Since everything in life is in constant movement, it shouldn't be surprising your aura is, too. It's impacted by your emotions, what you're thinking about, and physical stresses. Your aura might be prominently blue in the morning indicating you are peaceful and have rested. By bedtime it could be red, indicating you're worried or upset. If you're harboring negative feelings, your aura can transform to a dark color, even black. Violet: The test states that you're a visionary with the ability to change the world. This color represents the crown chakra. Orange: At the present time, you're feeling very confident. Yellow: When your aura radiates yellow, it indicates you're happy and feeling generous. Some energy fields in your aura may be stronger than others, depending on your current state of being. The colors these energy fields radiate tend to be prominent in the auric field. For example, if you're an empath, your aura color can reveal this ability by how strong the color is. You can learn more about how these energies play a vital role in your physical well-being by studying the human aura. When you take an aura color test, your responses provide an intuitive telltale sign of the colors presently dominating your aura. This connection is true of your psychic and intuitive abilities as well as the other bodies that make up the auric field.